One of the greatest phrases is: You cannot believe everything you hear. This statement applies to In Vitro Fertilisation (IVF) too. You may be looking for a way to boost your IVF cycle’s success rate, but not every tip will work. While some statements made about IVF are factual, others are purely a myth. You should always contact your IVF specialist if you want to know what is true, and what is false. This is one myth that should not even be a myth because the truth is drilled into your head repetitively. Specialists, doctors, nurses, and staff at a fertility clinic will stress to you over and over that IVF is not guaranteed. You will hear this from the moment you begin the IVF process. Some women are lucky enough to get pregnant through IVF, but unfortunately, some are not. 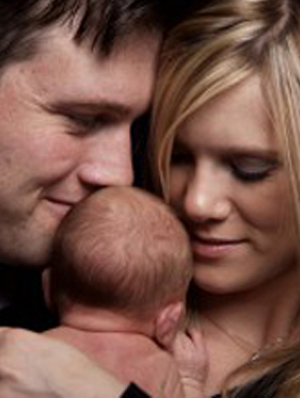 The results of IVF will vary from clinic-to-clinic, and patient-to-patient. When you have embryos implanted into your uterus, you do not need to be on bed-rest, even though myths would have you believe otherwise. Studies show that patients who confined themselves to the bed after an embryo transfer were less likely to become pregnant that women who went on with their normal routine. Some specialists believe this is due to bed-rest preventing the normal fluctuations of your heart rate and the flow of blood. Your doctor will encourage you to participate in your normal everyday activities. If there is something you cannot do, your doctor will let you know. Do not be under the misconception that one failed cycle means you will not get pregnant. That is also a myth. If your first IVF cycle is not successful, you have the option to try again. In fact, you can have as many IVF cycles as you would like. Some couples have had to have nine – more in other cases – IVF cycles before becoming pregnant. You have to keep trying, or choose another option, such as donor eggs or sperm. IVF does involve the transferring of multiple embryos, but that is only to increase your chances of getting pregnant. You could have multiple births, but that is not always the case. Some states and countries will limit the number of embryos that can be transferred during each cycle, to prevent multiple births. For instance, Australia has a two embryo transfer limit per IVF cycle. Before you try out a tip you read about, or heard from a friend, you should consult with your specialist. If there are any tips that can help increase your IVF success rate, a doctor will explain them all to you during your counseling sessions. Clinics want the IVF procedures they conduct to be successful, so they will not purposely keep tips from you. It is always good to consult with your doctor before doing anything that could potentially cause your IVF cycle to fail.